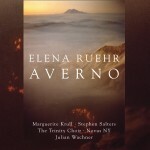 Award-winning composer Elena Ruehr’s AVIE debut, Averno (AV 2263), introduced three of her big and bold works for choir and orchestra. 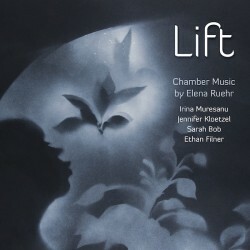 For her follow up, Ruehr scales down to intimate solo and chamber works for strings and piano, all with references to older music in some way. Baroque elements infuse Klein Suite for solo violin, Prelude Variations for viola and piano, and The Scarlatti Effect for piano trio. The three movements of the jazz-tinged Second Violin Sonata, are dedicated to people who have influenced Ruehr’s work: her composition teacher William Bolcom, jazz teacher Eddie Russ, and Oscar Peterson whom Ruehr met on New Year’s Eve 1980. Adrienne and Amy was written in honour of the pioneering American composer Amy Beach and her biographer Adrienne Fried Block. The virtuosic and lyrical title track for solo cello was inspired by Nobel Prize-winner Malala Yousafzai, the Pakistani school pupil and education activist. Boston-based Ruehr, whose wide-ranging works are performed from coast to coast, teaches at MIT. Last year she was awarded a Guggenheim Fellowship.